The field of Human Resource Management is ever changing and every department revolving around has realized the importance of human resource management for smooth business functioning. To enhance business functions, today many companies have come up with the implementation of innovative techniques and tools in the field of human resource management. 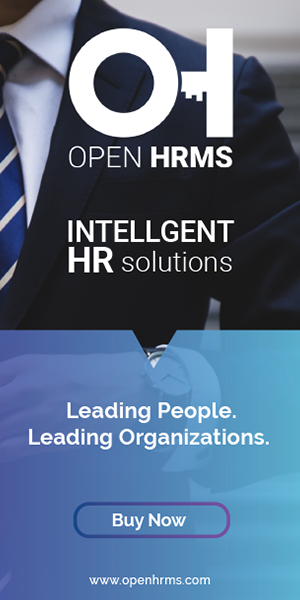 These HRM tools and techniques envision the improvisation of work culture, enhancing business productivity, nurturing a healthy and positive work culture, establishing transparent business communication and more. If one adopts the latest techniques of human resource management, it is sure that the company will succeed in surviving the tough competition of the modern world. Others who deprive of these tactics have to accept their defeat in the HR race. In short, it is imperative that one whole-heartedly implements human resource management techniques in the business. The latest Human Resource Development techniques include the following enlisted. Flexi-time & Flexi-work: The number of hours in a day, number of days in a week and work schedule when the worker has to perform is normally stated in the Job Description. The concept of Flexi-time has been introduced in order to suit the convenience of the workers without affecting the organizational functioning. Flexi-time is a program that allows flexible entry and leaving times for employees. Flexi-time increases productivity, the decline in absenteeism, and a reduction in employee turnover & increase in morale. Flexi-work: It is a program that allows flexibility in handling the type of work in various departments of the organizations in a systematic way by the employee during his tenure of employment in an organization. For example, a candidate may be selected as a clerk in the Personnel Department and after two years he may be allowed to take up work in any other department of the organization. Training & Development: Organizations spend a lot of time and resources in training, developing and educating their employees in tune with job awareness and organizations' requirements. This is mostly due to the absence of linkage between the industry and universities. Organizations in the future will establish their own educational institutes. These institutes will frame their course curriculum to suit the requirements of various jobs in the organization as a whole. These institutes will go on changing the course curriculum depending upon the changes in technology, work methods, production process, activities and so on. The intake of these institutes depends on exclusive requirements of organization. After the completion of the course, the candidate will be awarded a diploma and absorbed by the organization. This management arrangement will automatically take care of the problem of unemployment and underemployment. This arrangement will also minimize the duration of time to be spent by the candidate in his educational process. Management Participation in Employees' Organizations: With the formation and recognition of employees' organizations, the management cannot make unilateral decisions those affect employee relationship directly or indirectly. Decisions relating to policies on employment, training, transfer, promotion, adoption of latest technology etc. are no longer determined by unilateral action of management and must now be discussed with the representatives of employees' organizations. Decisions on the policies and administration may still rest with management, but they are frequently subject to question and criticism by union representatives under a formal grievance procedure. This technique enables the two parties to exchange ideas, opinions, information, and knowledge to understand each other's viewpoint, with an open mind and thereby avoid all misunderstandings. Thus, the human resource management representatives may provide effective plans, suggestions, advice organization and directions for sound management and functioning of federations and unions for the common good of both the parties. COLLECTIVE BARGAINING: is an institutional process for solving problems arising directly out of employer-employee relationships. Through collective bargaining, the two parties become responsive to each other. Employees ventilate their problems relating to wages, employee benefits etc. while the management puts forth its demands regarding employee co-operation and commitment so as to maximize its profits. Thus, the two parties discuss the problem and each party tries to solve the problems of the other. The scope of collective bargaining is wider as the solutions for common problems can be found directly through negotiations between both the parties. COLLABORATIVE MANAGEMENT: It is the general practice that the owners and/or their representatives manage the organization. But most of the organizations have started allowing their employees to participate in management. It is viewed that different parties concerned with the organizational activities will manage the organization through participation. Such type of management system is referred to as 'Collaborative Management'. Employee's participation in management was initiated to satisfy workers' psychological needs, to develop a sense of belongingness and loyalty to the organization. a) Give up the authoritarian style of leadership and adopt the participative style of leadership. b) Follow human relations approach and partnership approach towards employees. c) Encourage creative skills and abilities and reward those talents. e) Participate in trade union activities; recognize human resource as a profit center and as a basic instrument to earn profits rather than as a cost center. f) Understand the fact that human resource management will dominate all other functional areas of management. a) Personnel manager and the individual manager will give emphasis on the overall development of human resources. b) Human Resource Management function will be extended to cover career planning and development, organization and development, organize climate, role analysis, national wage policy, social justice etc. Today competition is very tough and if an organization has to survive in the race gracefully, it has to constantly upgrade its skills and sharpen its capabilities. Many new techniques are implemented in the organizations to motivate the employees and to help them perform to their optimum capacity. By using the above-mentioned techniques and many other programs, the organization tries to make the workers and employees more competent, committed & comfortable to do a given job. Human resource management is a process of bringing people and organizations together so that the goals of each other are met. The role of HR manager is shifting from that of a protector and screener to the role of a planner and change agent. Over the years, highly skilled and knowledge-based jobs are increasing while low skilled jobs are decreasing. a) Use workforce skills and abilities in order to exploit environmental opportunities and neutralize threats. b) Employ innovative reward plans that recognize employee contributions and grant enhancements. c) Indulge in continuous quality improvement through TQM and HR contributions like training, development, counseling, etc. d) Utilize people with distinctive capabilities to create unsurpassed competence in an area. e.g. Motorola is famous for short product development cycles. It has quickly commercialized ideas from its research labs.